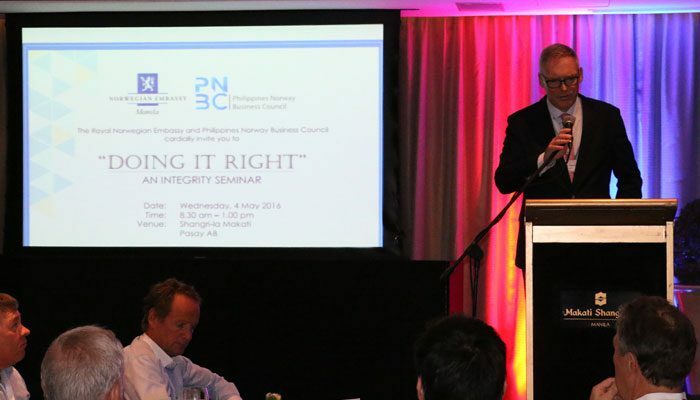 The Royal Norwegian Embassy and the Philippines-Norway Business Council (PNBC) co-organized the integrity seminar entitled Doing it Right on 4 May 2016 at Shangri-la Makati. 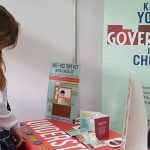 The event allowed the participants to discuss integrity laws in Norway and the Philippines, and the real-life application of these laws and policies. The attendees further discussed ways to identify and prevent corruption and integrity violations in day-to-day business operations. Ambassador Erik Førner commended in his opening statement the current administration’s transparency initiatives, but noted that corruption still is a serious concern in the Philippines. 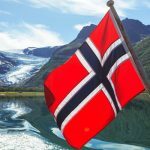 The Ambassador, who took initiative to organize the seminar, pointed out that foreign investors are particularly vulnerable to different types of corruption, and that it is important for the Norwegian business community to understand the challenges and discuss the dilemmas. 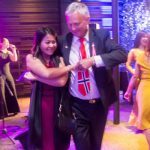 The seminar gathered participants from Norwegian companies operating in the Philippines and other firms with Norwegian interests. Important insights were shared by Atty. Tormod Ludvik Nilsen of Wikborg Rein, Atty. Camilo Correa of the Securities and Exchange Commission and Ms. Happy Feraren of Bantay PH. Mr. Norman Agatep hosted the event and moderated the open forum. PNBC Vice-President Jannicke Steen, in her closing remarks, challenged the attending companies to also do their part in culture building — in developing transparency and doing what is acceptable. She expressed optimism that the seminar will further intensify the business sector’s engagement against corruption. 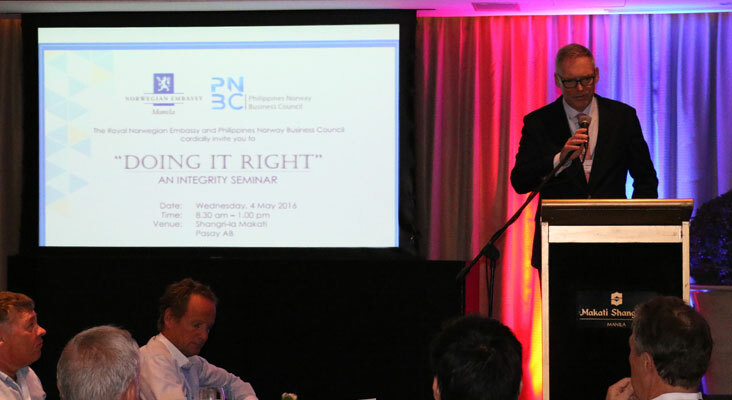 The Norwegian Embassy and the PNBC promote transparency and integrity in their priority agenda in the Philippines. 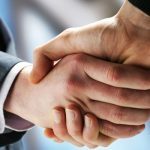 A good number of PNBC members are signatories of the Integrity Pledge of the Makati Business Club and the European Chamber of Commerce of the Philippines, which is a commitment to ethical business practices and good corporate governance. As signatories, PNBC members pledge to lead by example in the fight against corruption and to operate ethically and with integrity.